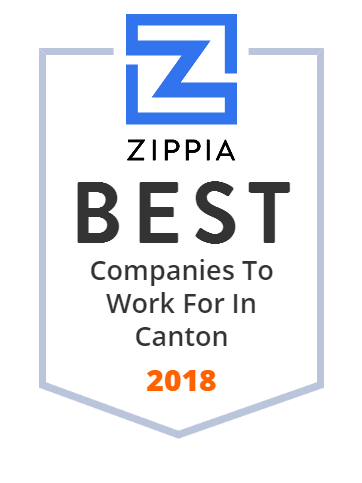 We hand-curated a list of the best companies to work for headquartered in and around Canton, OH using data on salaries, company financial health, and employee diversity. Emergency Medicine Physicians, Ltd. provides residency-trained and board-certified emergency physicians staffing services. Its solutions include an ED staffing solution; a risk management program; an intensive one-year training course to mentor and develop emergency medicine physicians with leadership potential into candidates for medical director posts; and more. Founded in 1992, this reputable company is based in Canton, Ohio and has locations in Arizona, California, Connecticut, Hawaii, Illinois, Kentucky, Michigan, and Nevada, among others. Peoples Services, Inc. is a network of companies dedicated to providing quality supply chain logistics services plus value added services. With over 100 years of experience and business excellence, they provide supply chain management by working with their clients to help solve distribution challenges, while reducing costs. Over the years, Peoples Services, Inc. has been committed to going beyond logistics for a better solution. Aultman Hospital offers high-quality health care services, and they continuously reinvest to improve their facilities and technology. They provide educational and career opportunities through area schools and improve the health of their community through The Aultman Foundation. Aultman Hospital provides health and wellness education for their community with hundreds of dedicated volunteers who help them positively impact the community. Standard Plumbing and Heating Co.
Standard Plumbing and Heating Co. is a leader in HVAC and Control, HVAC Sheet Metal, Custom HVAC and Plumbing Systems and Full-Service Plumbing. Founded in Canton, Ohio in 1912, Standard Plumbing and Heating is a third-generation, family-owned and operated company. Services include air conditioning, heating, process piping, plumbing, sheetmetal fabrication, design-build, professional engineering, boilers, chillers, HVAC controls and 24-emergency service. The company has an additional location in Mansfield, OH. Miracle Plumbing and Heating provides a complete range of plumbing, heating and cooling services for residential and commercial needs in Canton, OH. Services include pipe installation, drain cleaning, water heater repair, A/C installation, backflow services, etc. Family owned and operated since 1927, today Miracle Plumbing and Heating has a team of over 35 employees and continues to serve all plumbing, heating, and cooling needs of its clients. Founded in 1976 and now in its 40th year, Child and Adolescent Behavioral Health (C&A) is a not-for-profit, full-service, trauma-informed mental health organization specializing in the emotional and behavioral needs of children, adolescents, young adults, and their families. This company is committed to be the premier resource for emotional and behavioral health services and products that help children, youth, and families successfully meet life's challenges. Morrow Control & Supply, Inc. is a leading distributor of HVAC equipment and accessories in Northeast Ohio, USA. Since opening for business in 1952, it has been this company's goal to provide superior service. Headquartered in Canton, Ohio, Morrow Control & Supply, Inc. also has warehouses in Akron, Cleveland, and New Philadelphia. Media Resources, Ltd. is a full-service supplier of print media solutions. They partner with major advertising agencies and their clients to plan or implement print media campaigns that are flawlessly integrated into new or existing marketing strategies. This company's innovative products and excellence in service philosophy enables them to work with major advertising agencies like BBDO, J. Walter Thompson, and PHD USA. Agencies like these choose Media Resources because of their expertise and efficiency in providing cost-effective print services and media buys that deliver proven results. Abbott Electric is one of northeastern Ohio's largest electrical contractors specializing in commercial and industrial electrical construction. Some of its services include intelligent design and installation of power distribution systems, energy management systems, 24-hour monitoring service, computer wiring, panel upgrades, paddle fan installations, city code corrections, and other services. Since its establishment in 1978, the company has contributed to the success of many businesses and special projects. Headquarted in Canton, OH, with an additional office in Dover, OH. Selinsky Force, LLC is a specialty industrial services supplier with market concentrations in Ohio, Pennsylvania, Kentucky, West Virginia and Indiana. This trusted company's areas of expertise include millwright work, industrial plant maintenance, including refractory repairs and installation. Selinsky Force, LLC's general construction division performs concrete work, foundation installations, masonry and steel erection. Everhard Products, Inc., established in 1991, is a manufacturer of specialty hand tools and a precision metal fabricator. Its clients come from the Tire, Roofing, Screen, HVACR and metal fabricating industries. Its product line consist of tire and rubber products, roofing, screen, and klenk tools. The company provides quality products, continuous improvement, and maintains ISO 9001 standards. Its headquarters are located in Canton, OH. We offer tips & news on senior care topics. SarahCare, a leading Adult Day Care company, provides care and support to seniors in a safe and active setting.